When it comes to connecting online, speed is everything. 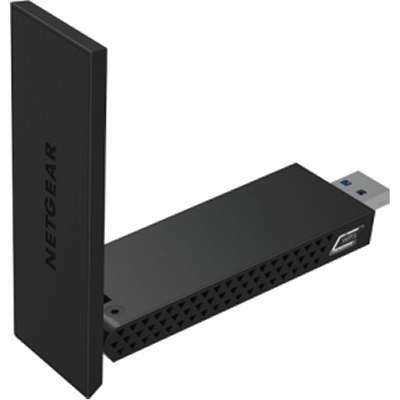 Now with this AC1200 USB 3.0 adapter, you can make even your older Windows®-based laptops and desktops connect at the speed of 802.11ac, the world's fastest WiFi technology. Increase range with high gain antennas, and with USB 3.0, you can connect even faster than USB 2.0. Just plug this adapter into a USB 3.0 port and enjoy faster browsing, streaming and gaming. Compatible with USB 2.0 and the latest 11ac WiFi devices and backward compatible with 802.11 a/b/g/n devices.